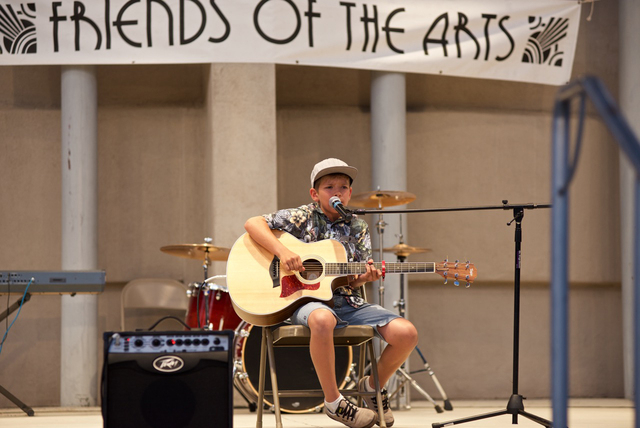 1BEST DAM PERFORMERS: “BC’s Got Talent” returns 7-9 p.m. Saturday at the Boulder City Library amphitheater, 701 Adams Blvd., featuring performers of all ages, with cash prizes for adults, teenagers and younger children. Some of Boulder City’s most talented bands and solo acts, selected from auditions held last month, will perform for the community’s enjoyment, and to earn the votes of the locally culled judges. For more information visit, www.bcsgottalent.com. 2HEAVY DUTY PLAY: Those who are helping Interstate 11 will host a Heavy Duty Play Day fundraiser to benefit St. Jude’s Ranch for Children. The event, which will allow people to explore, climb on and ride construction equipment, will be held from 9 a.m. to 1 p.m. Saturday at 12555 S. U.S. Highway 95, about 7 miles from downtown Boulder City heading toward Henderson. The event includes music, food, information and a giant sandbox with toy construction equipment. Admission is free; for more information, call 702-294-7100. 3ARTFUL FUN: Children from kindergarten up to fifth grade are invited to join the Boulder City Art Guild and the Boulder City Chamber of Commerce for a day of family-friendly art and art lessons, in the park. From 11 a.m. to 1 p.m. Saturday at Hemenway Valley Park, 401 Ville Drive, kids will be able to sketch bighorn sheep and learn drawing and open-air painting tips from experienced artists. Admission is free; all children must be accompanied by an adult. For more information,visit www.bouldercityartguild.com or call 702-293-2138.